Electronic Cigarette World, Australia brings you the Kanger Subox Nano Mod Kit. ** Currently Available in Black and Pink only ** Please specify colour during checkout as a comment. The KangerTech Subox Nano is designed for vapers who are new to mods. Any beginner can enjoy all the advantages of a variable wattage box mod without spending too much. The new Subox Nano kit by Kangertech is now avaliable in black. This kit combines the popular Kbox Mini with the Subtank Nano and ready to ship. The Subox Nano is a fantastic reinvention of the original kit from Kangertech. They did an amazing job of combining versatility, effectiveness, and power into one tiny package. The Subox Nano is powered, just like the Mini, off of one 18650 battery and runs up to 50 watts, perfect for anyone trying to upgrade from the smaller starter kits or just looking for something in a tiny size. Originally the Subox Nano was only available in two vibrant colors, purple and pink. However, now Kangertech new black version that I expect will fly off the shelves. 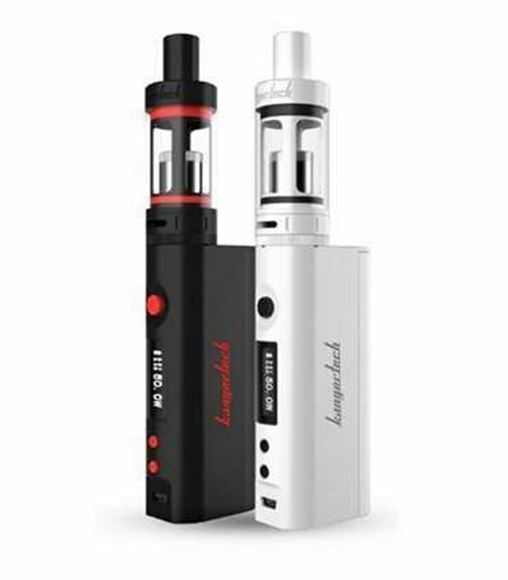 The reduced size of the Subox Nano is not the only draw for this kit. Just like with the Mini counterpart, the Subox Nano also sports some great power paired with phenomenal airflow. For a 50 watt device, the Subox blows you away with every puff. Don’t miss out on this amazing deal! while you still can, and jump on the Kangertech train with the rest of us. Get your now, and as always, vape on. The SUBOX Nano is the combination of the KBOX Nano and Subtank Nano-S. The SUBOX Nano Starter Kit comes with a 510 drip tip and two OCCs (one 0.5 Ohm and one 1.5 Ohm) in the box. The SUBOX Nano is to be an improved OCC system, resulting in a higher wattage capability and an easier to assemble atomizer- which everyone, new and experienced can appreciate. Also, featured is a brand new airflow design, just like in the SUBOX Mini. The Kanger Subox Nano Kit combines 2 of the most deservedly popular vaping products of 2015! The Kanger Subox Mini Kit is a cracking new mod starter kit which includes the unreleased KBOX Mini and the latest Subtank Nano !! The KBOX mini is a 50w device capable of firing down to 0.3ohms. It has a magnetic battery cover to keep your 18650 battery snug as well as an OLED display to check your settings and battery life. The Kanger Subtank Nano is everything you love from the previous versions but with improved airflow, a redesigned RBA deck for easier builds and new aqueous ceramic tank construction. The Kanger Subox Nano Kit is available in either Black or White colours. The Kanger Subox Nano Mod Kit is 510 threaded and requires 1 x 18650 High Amp battery (not included). The battery is easy to replace due to the twist-off tail cap. It is recommend a suitable battery is used, one which is capable of at least 20A constant discharge. Note: The user must purchase a suitable 18650 battery with output of 20A or above. 18650 BATTERIES ARE NOT INCLUDED WITH THE KANGER SUBOX NANO KIT. To turn the battery on/off, press the power button 5 times within 3 seconds. To change the current output wattage, keep pressing the wattage switch button until you reach the desired wattage. After the wattage setting passes the 40W mark, it will reset back to 8W. The battery level indicator will flash 15 times when the cell needs recharging. Electronic Cigarette World, Australia will not be held responsible or liable for any injury, damage, or defect, permanent or temporary that may be caused by the improper use of a LI-ION battery. Please have a basic understanding of the batteries you are using and how to care for them properly.